If you are looking for Lenovo Ideapad 320-15ABR driver, thene here are Lenovo Ideapad 320-15ABR drivers for Windows 10 64 Bit you can download and install to let your laptop operate properly. 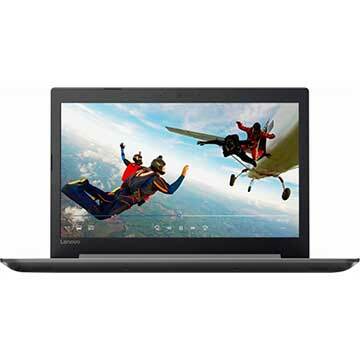 Lenovo Ideapad 320-15ABR is 15 inch laptop powered by 2.5 GHz AMD APU A10-9620P or 2.7 GHz AMD APU A12-9720P or 2.7 GHz AMD APU FX-9800P quad-core processor and AMD Radeon™ R5 Graphics video card or AMD Radeon R7 Graphics card. This Lenovo notebook PC comes with up to 16GB 1866MHz DDR4 SDRAM system memory and HDD or SSD to store documents. This portable computer features 11ac (1x1) Wi-Fi, Bluetooth 4.1, 4-in-1 multi reader slot, USB 3.1 Gen 1 port, USB 3.1 Type-C Gen 1 port, HDMI 1.4b, dual stereo speakers with Dolby Audio, and Li-Ion 30Wh or 35Wh battery with4.5 hr battery life. 14.88" x 10.24" x 0.90"
If you have Lenovo Ideapad 320-15ABR drivers for Windows 7, please share on comment form below.